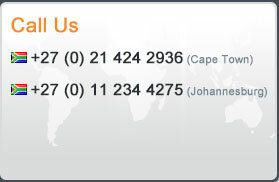 Exchange control dictates how much an individual may transfer out of South Africa each calender year. It does so by a system of allowances, below we give you the highlights on the annual foreign investment allowance. Allowance – R10 million per calender year. Where the funds may be invested – These funds can be invested into offshore investment portfolios, property, bank accounts or other investments. Authorised Dealers (as empowered by the Reserve Bank) may allow private individuals (natural persons) who are tax-payers in good standing and over the age of 18 years, to invest up to a total amount of R10 million outside of South Africa, on an annual basis. Prior to any transfer of funds a tax clearance certificate issued by the South African Revenue Service must be presented to the authorised dealer. Once tax clearance has been approved the individual may then make use of the annual foreign investment allowance to transfer up to R10 million abroad. As you would expect from an experienced foreign exchange control company we are able to guide you through your applicable allowance, complete all the required paperwork and obtain the tax clearance on your behalf. Of course you will also enjoy the benefit of personalised service, no administration fees and the best of currency exchange rates. If you are considering transferring your annual foreign investment allowance out of South Africa contact Incompass – the smart way to transfer your money. To find out more about how we can help you with the transfer of your annual foreign investment allowance call us on any of the numbers below or send us an e-mail.